Her family loves it, too! If you haven’t heard yet, Wander Jam is back for it’s second season! This time around, we’ll be following Migz Haleco and our spunky new co-host, Sue Ramirez, as they go on wander-ful adventures every week. For the first trip of the season, Migz and Sue travelled to to Sta. Maria, Bulacan to get away from the hustle and bustle of the city. But it wouldn't be a complete provincial experience without taking the public transportation, so the pair stepped out of the Wander Van (for just a little while!) and took a jeepney ride to their final destination. 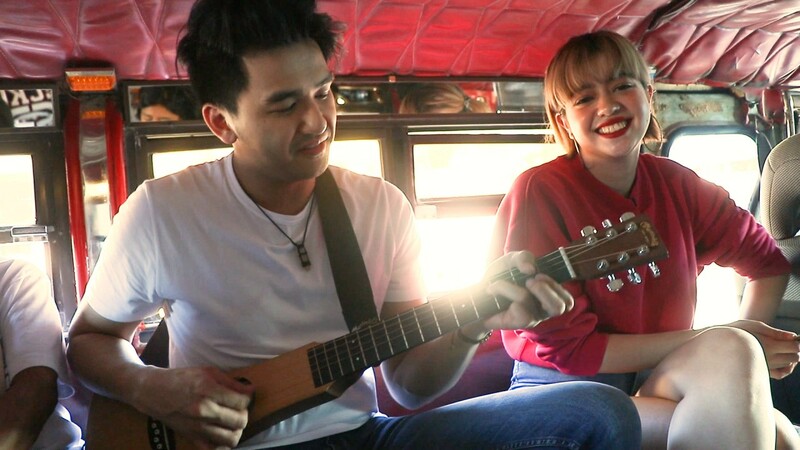 It was during the commute where Migz learned more about Sue and her passions—starting with music. “Simula sa mga lola ko, hanggang sa mommy ko, daddy ko, mga kapatid ko—lahat kami mahilig mag-sing along. So bata pa lang ako, ‘yon na talaga hobby namin sa bahay,” she said. But as we all know, Sue isn't just an amazing singer; she acts, models, and dances, too! But when Migz her asked which one of her talent she liked the most, she chose singing, because it encapsulates all of her talents. She’s not one to keep those talents to herself, though, because she and Migz sang a few duets along the way. They even got some of the local talent to jam with them! Do you love singing as much as Sue does? What do you think of the season premiere episode? Comment below!